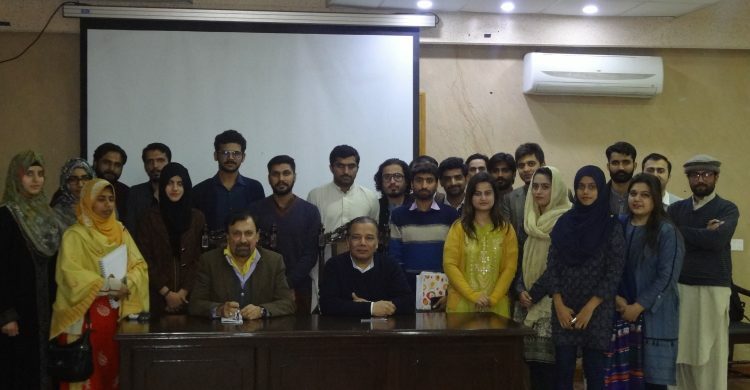 Mr. Aamir Ghauri the resident editor of the News was invited to the share his views on “Media in a Multicultural Society” at the DSS department. 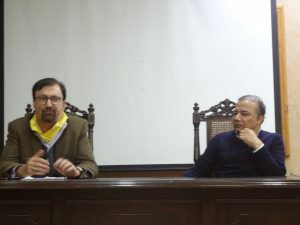 The discussion was moderated by visiting faculty member Mr. Khalid Banuri. Mr Ghauri during his talk highlighted several factors, he said that in a changing world order, which has reduced the world to a global vil lage, complemented by the overarching presence of social media, access to information and knowledge has become extremely simple and common, yet it is very important to distinguish between authentic and fake information and data. 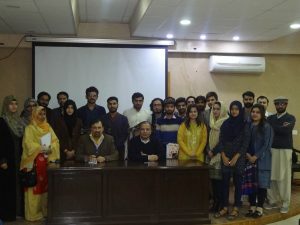 In a multicultural society such as Pakistn, where multiple languages, diversity of culture and opinions, where at one hand are a great asset, fragmented, half-baked and false information, which is not verified or properly examined proves to be extremely dangerous and misleading and a cause of major social discord and ignorance. He stressed upon the young students to understand the true depth of research and learning, ethical codes and the power knowledge carries. The importance of being honest in their pursuit of and dissemination of knowledge and information and to learn to seek the true details, the need for seeking education in order to be a part of the progressive world is most necessary. For societies such as ours, which are facing multiple pressures, unless we are able to learn, distinguish authentic from the false and truly value knowledge and lessons from around the world, we will remain hostage to a culture of ignorance and backwardness. The discussion end with an interactive session, moderated by Mr. Banuri.